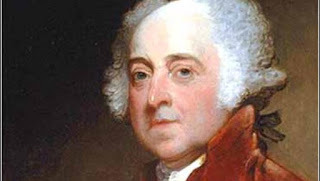 Coming Attractions is a romantic comedy set in modern Indiana, so naturally there's an appearance by John Adams, second President of the United States. I don't recall exactly how that happened, but I can guess. 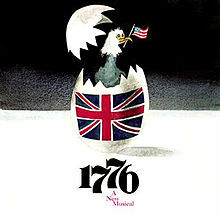 I've been fascinated by John Adams ever since I went on a class trip to see the movie musical 1776, in 1972. Why they didn't release it in 1976, I don't know. I'm also not sure which came first: Adams, who's closely connected to Boston, Massachussetts … spell that three times fast … or having my book's heroine, Maddie, be a Bostonian herself. Knowing my interest in Adams and his times, I suspect I put Boston in Maddie's background just to have an excuse to drop in quotes by and mentions of Adams. "What do you think of my new hair style? Jefferson will be so jealous." As the story goes on it becomes something of an in-joke that she likes to quote Adams, to the bemusement of our Hoosier hero Logan Chandler. But she's using those quotes to voice her own conscience, and steer her in what she hopes is the right direction. To her John Adams is the voice of not just reason, but determination--and one reason why she begins to question her own direction. Just to be clear, there's no singing, and no appearance by Thomas Jefferson or Benjamin Franklin. I don't think a musical would translate well into a novel. Oh, did I mention you can find Coming Attractions, and all our books, here? But wouldn't it be better with singing? Fri, 10:12: Albion and Noble County by Mark R Hunter https://t.co/XancJACJZS via @amazon Our first book to be available in hardcover! 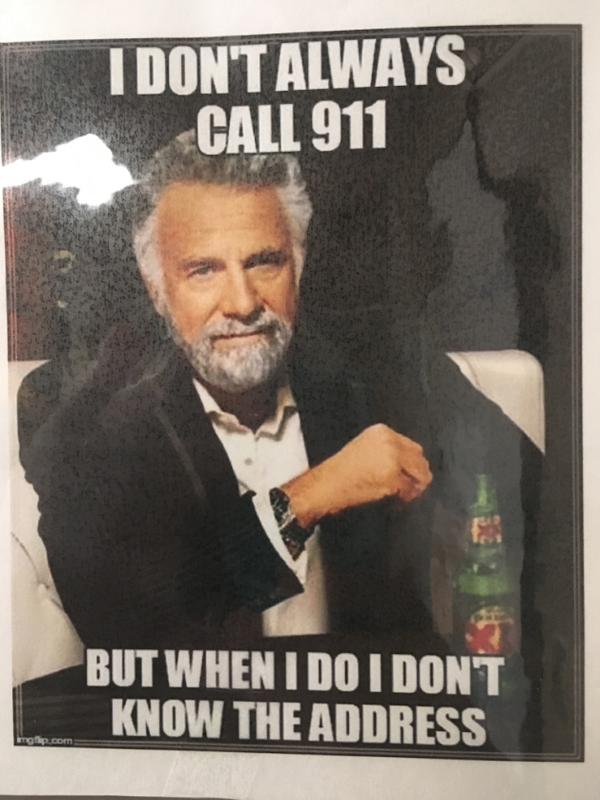 I've been taking 911 calls for so long that they were originally 91 calls. Well, it seems that way, anyway. It turns out National Public Safety Telecommunicators Week predates my full-time employment in the emergency services by ten years, and can we possibly shorten that name down a bit? 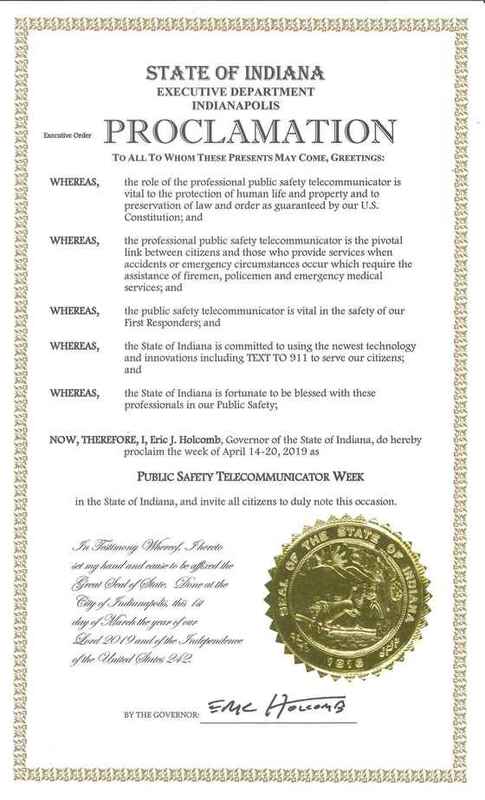 By the time I finish saying National Public Safety Telecommunicators Week, the week is over. I'm going to call it ... NPSTW. I know somebody who got their Bachelor Degree at NPSTW, although they've since married. Go Bulldogs! 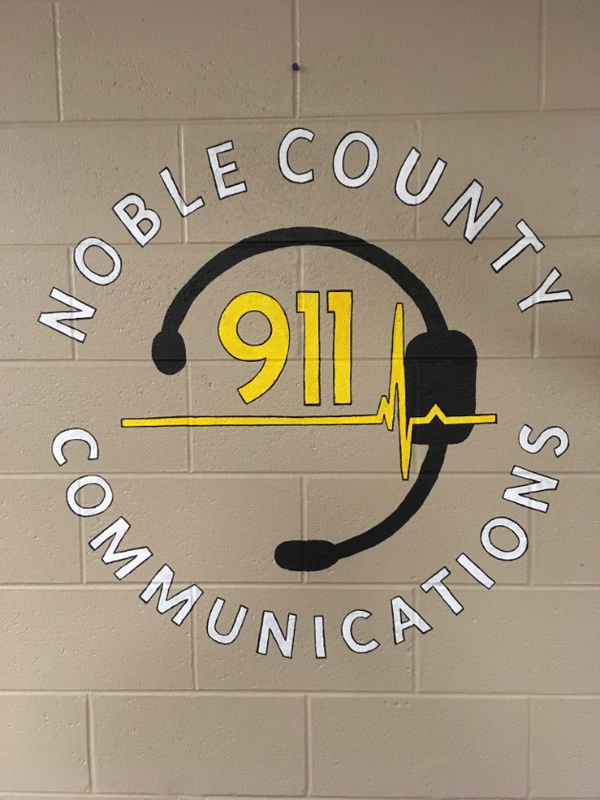 Anyway, I started with the Noble County EMS as a seventeen year old trainee in late 1979, and joined our volunteer fire department in 1980. But it wasn't until December, 1991, that I took an actual paying job in the area of emergency services, as a jail officer with the Noble County Sheriff Department. Within a few years I got tired of getting sick all the time. Seriously: Those inmates breathed so many germs on me while getting booked in, I thought I was in a sequel to The Andromeda Strain. So I went into dispatch, trading physical ailments for mental ones. Unknown to me, way back in 1981 Patricia Anderson, of the Contra Costa County Sheriff's Office in California, came up with this idea to give tribute to, um, NPST, or as I'm going to call them, dispatchers. 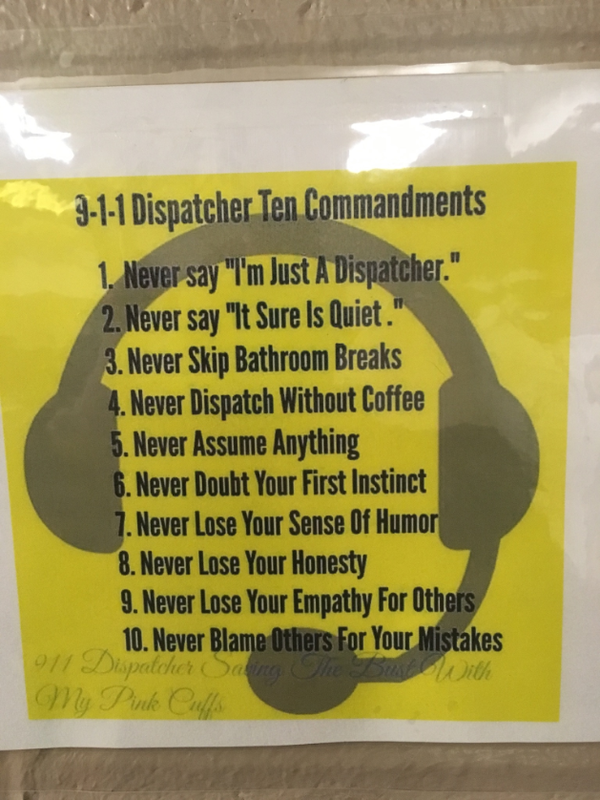 Yes, I know "dispatchers" doesn't tell the whole story, but my typing fingers are tired. Oh, who am I kidding? All of me is tired. Isn't it something? I've been here for almost twenty-eight years, and dispatching for about twenty-five of those. I've been here so long that when I started we had only one computer, to get information such as license plate and driver's license returns, using DOS. Get your grandparents to explain DOS to you. My wife points out that taking information was difficult back then, because we had to received 911 calls by smoke signal, while carving words onto stone tablets. I'm fairly sure she was kidding. I've been here so long I could take full retirement at the end of this year. Full retirement pay! Sadly, I haven't figured out how to make up the difference in income, but I'm hoping my book sales will pick up. The good news is we don't make all that much to begin with, so the loss of income wouldn't be so much of a shock ... but it would be tough learning to sleep through the night. While I joke about it--mostly to keep from crying--things really were easier back then, when it comes to learning the job. Our computer systems do make it easier to help people these days, but astronauts don't train as much as our rookies do. Spaceship vehicle pursuits are faster, though. The point is, I'm not sure I could make it through training, if I started today. We had one the one small computer screen when I started. Now I'm looking at seven flat screen monitors, not including the security and weather screens. Our report was written (in pen) on a single piece of paper about half the size of a standard sheet. 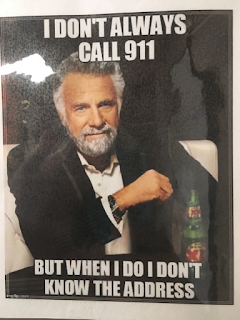 Today we have a Computer Aided Dispatch (CAD), radio screen, phone screen, mapping screen, recorder screen, 911 texting screen, and a screen to keep track of everyone's duty status. We also have a screen to keep track of screens. Those are just the ones we use regularly. Avoidance, such as staying away from places that don't have ... well, you know. Chronic pain ... wow, that one hit me like a pulled back muscle. You know, looking down that list you have to wonder, as I check off each and every box: avoidance, numbing, flashbacks, being on edge, overeating ... HEY! Who the HECK took my meatball sub out of the break room fridge! I'm HUNGRY! Why the heck am I still here? Dispatching is still the best full time job I've ever had. Of course, I'm not a full time writer, yet. And for that I'd only have to deal with one computer screen.